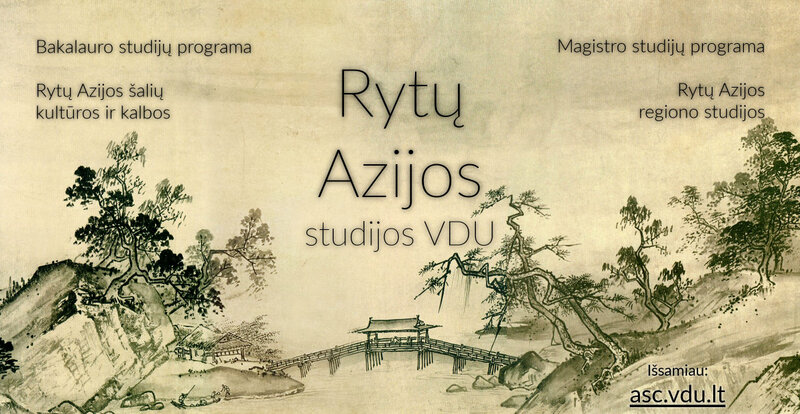 The Centre for Asian Studies invites all interested in China, Japan and Korea to apply for the East Asia Region Studies program (EARS), which is the only graduate program in Lithuania and the Baltic States that is taught in English and focused on East Asian contemporary politics and society. VMU also provides scholarships for selected foreign students. EARS program’s applicants must hold a bachelor’s degree of humanities or social studies. Same as earlier, the best and most motivated students will be encouraged to study at least one semester abroad at one of our partner universities in East Asia. After graduation students acquire the MA degree of political science. All the courses of the program are taught in English. Research paper and master’s thesis are also written in English. More information about the program, the application process and other requirements can be found in EARS page. Application deadline: June 28th.